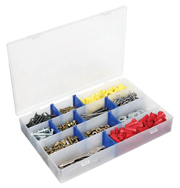 Stadium Building Products offers Flambeau® Tuff Tainer® and IDS™ boxes in a number of sizes and styles. 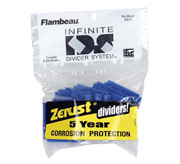 All are available with Zerust® corrosion protection which is moulded directly into the dividers and emits a harmless, ordourless vapour that fills the inside of the box and protects metal objects inside from corroding for up to five years. 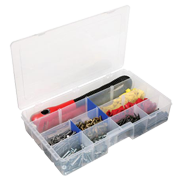 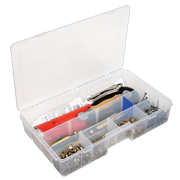 To learn more about a specific small storage box please use the "click here for details" to the right side of each product. 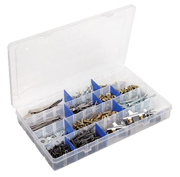 If you have any other questions regarding our small storage boxes please call us at the telephone number listed in the upper right of this page or e-mail us and our Customer Service Department will be happy to assist you. 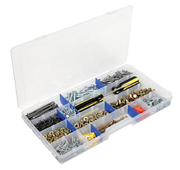 Zerust is a registered trademark of Northern Technologies, Inc.